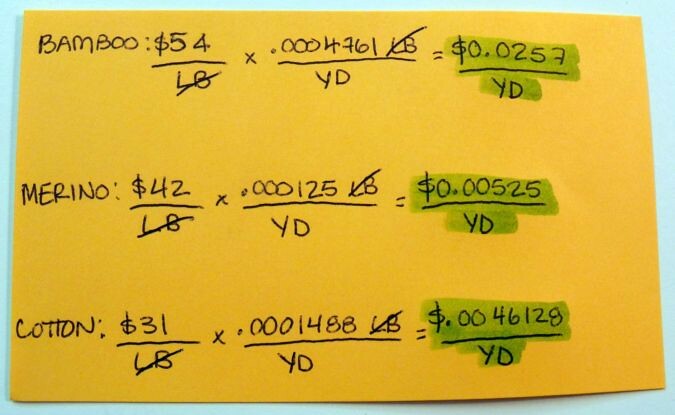 Home » how-to, math, tips	» How do you calculate the price per pound? 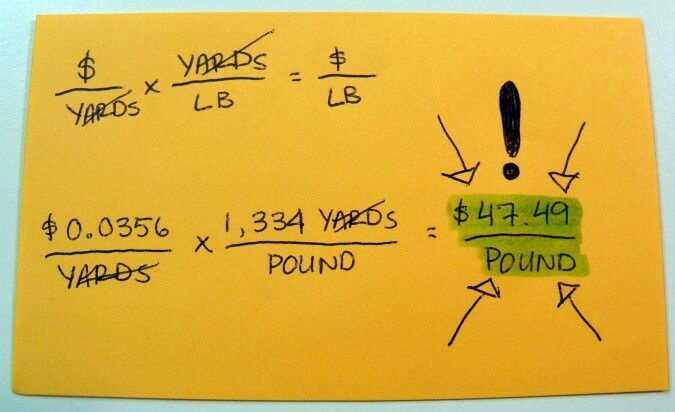 How do you calculate the price per pound? Warning: things are about to get mathy up in here! 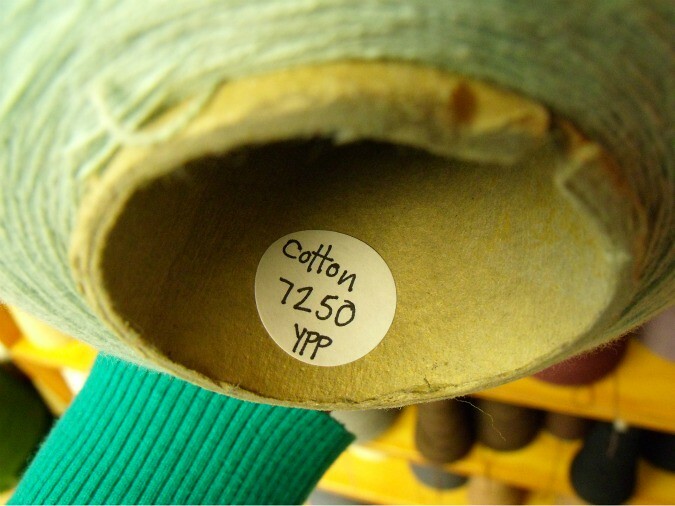 This is a question we get all the time here at the shop: How do we figure out the cost of a cone of yarn? Well, figuring out the price on our house blends is easy — the price sticker inside the cone is how much that entire 8-oz. 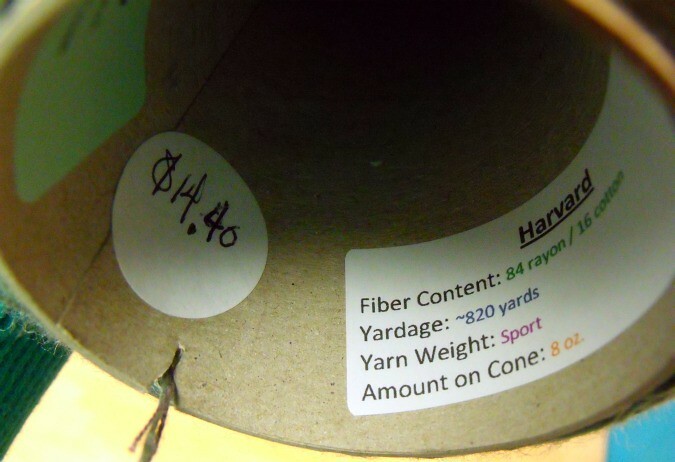 cone of yarn costs. But what if I want to make my own from scratch? 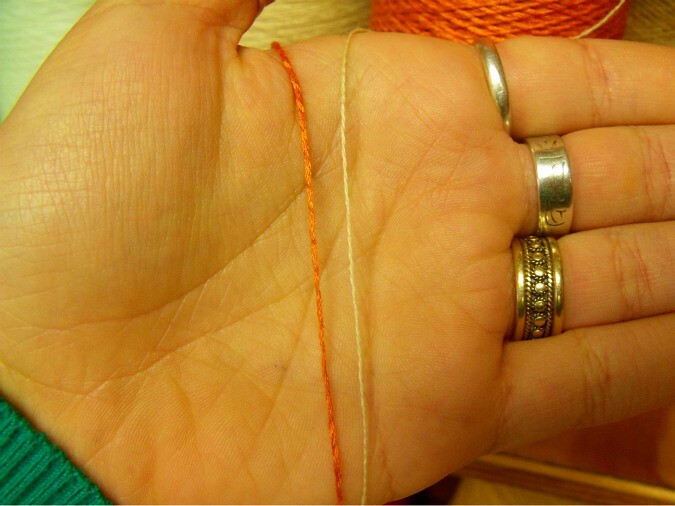 Things still stay pretty simple if you just want to wind off a single strand of one of our yarns, or if you’re combining multiple strands of the same fiber, say, to build it up in thickness. 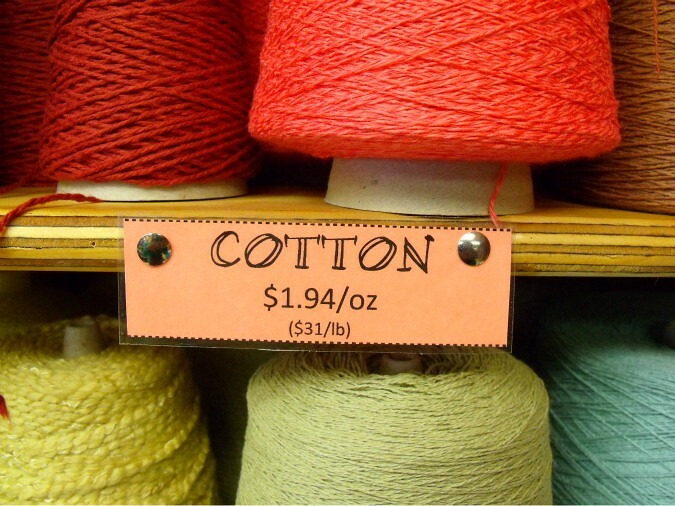 but what if, say, you’ve chosen a cotton/bamboo blend? The simple answer to this question is, “It’s an average.” But really, it’s not as straightfoward as a simple average of the ingredient prices — this wouldn’t account for the fact that a strand of bamboo is waaay thicker (not to mention heavier) than a strand of thin merino. How do we take this into account? Well, the key here is the fact that we know this little magic number for every single ingredient yarn in the store, the yards per pound. 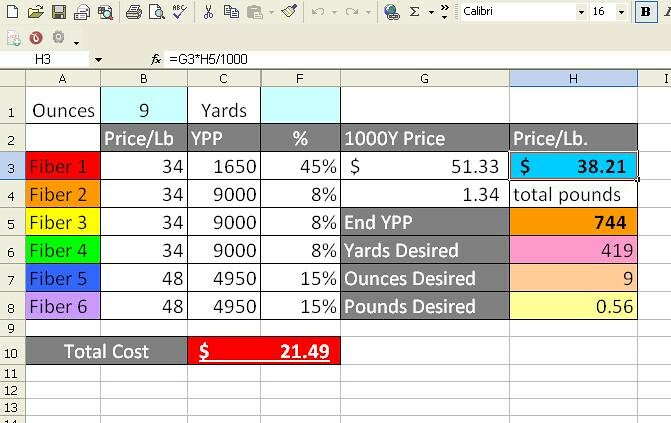 This doesn’t seem very helpful right off the bat, because if each of these ingredients yields such a different number of yards for each pound we wind off, how are we supposed to figure out their contribution to the final price? This would be way easier if these were all the same length. 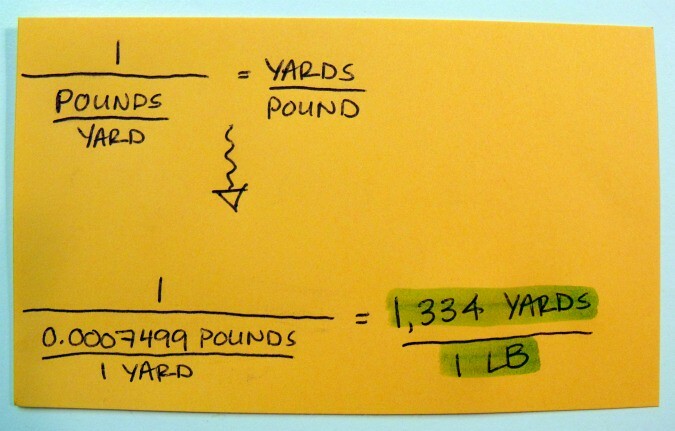 So, digging way back to middle school math, we use reciprocals to reassure ourselves that if we know how many yards per pound are in each of these ingredients, we can also figure out how many “pounds per yard” each of these will yield. 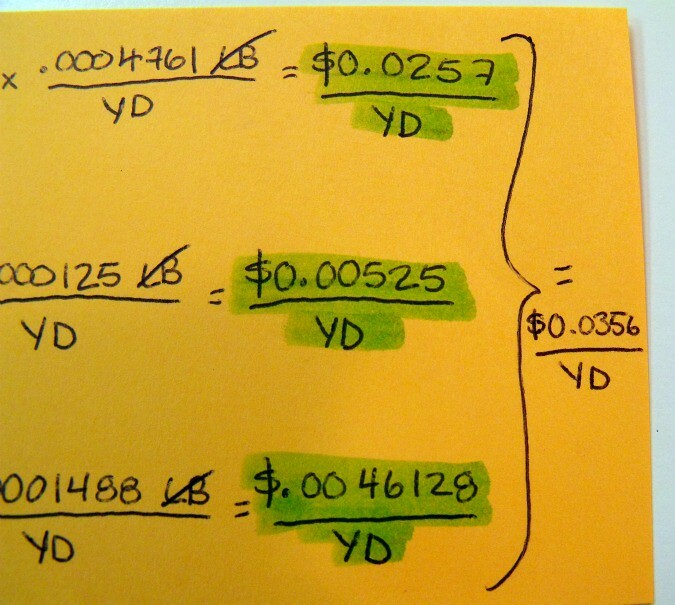 Obviously, because these strands are so thin, none of them will yield anything close to a pound in a single yard. 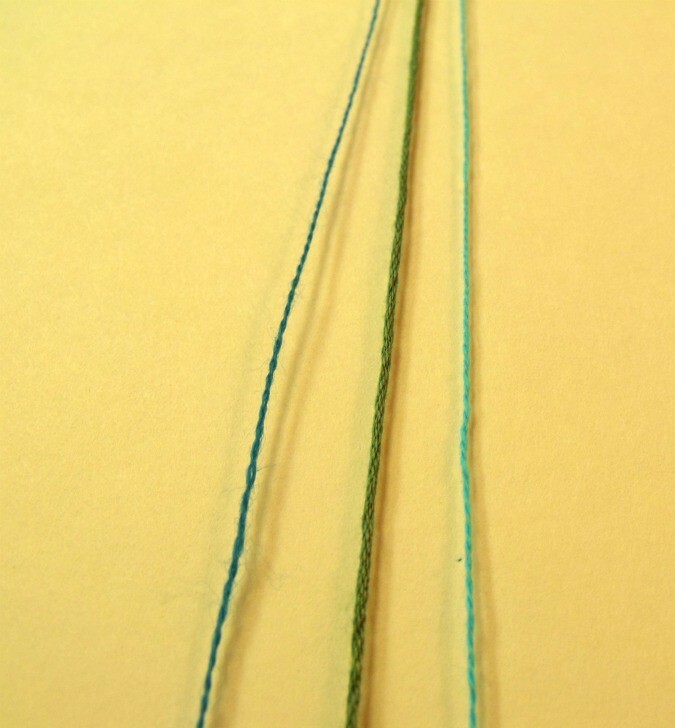 But even so, now that we have them all at a constant length (1 yard), we can compare them to one another. Okay, another journey back to middle school…remember cross-canceling when you’re multiplying fractions? 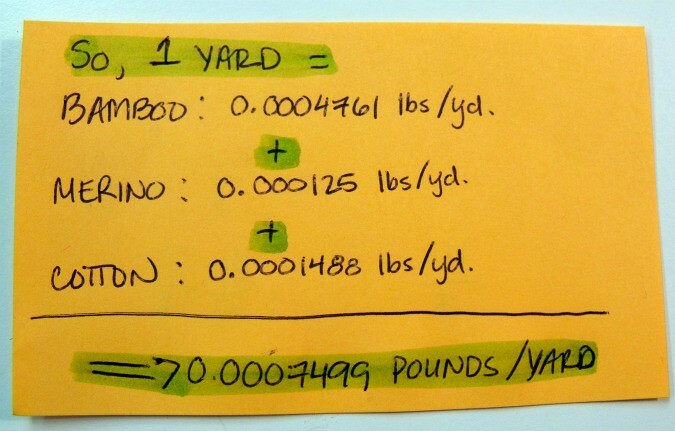 You can do it with numbers, but you can also do it with units! Now we’re getting somewhere. If we can find the $/yd for each of these 3 ingredients, all we have to do is add them together (because they’re now all a constant length — 1 yard) to find the final price for this theoretical 1 yard of yarn. 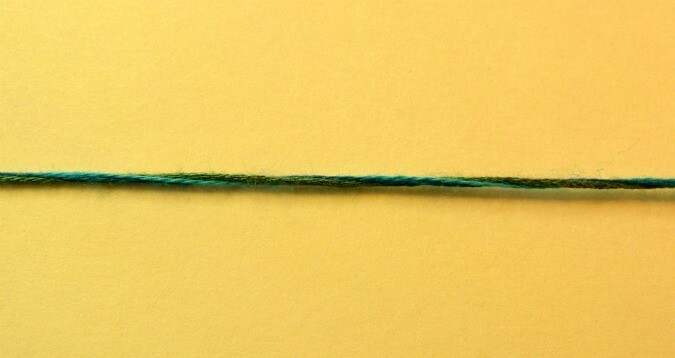 And, the same way we found the price for this 1 yard of yarn, we can find the weight of this 1 yard. 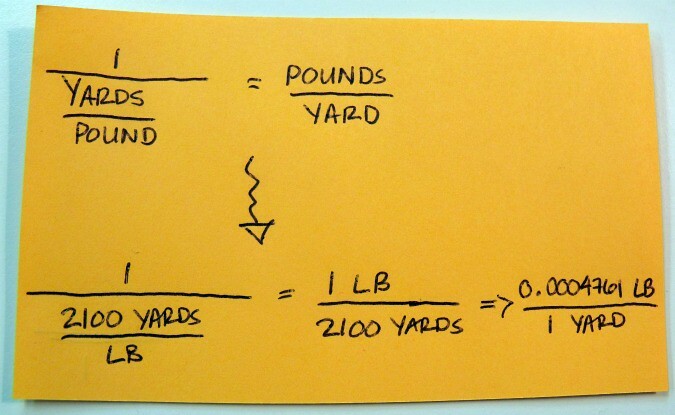 And because of reciprocals, if we know how many lbs are in a yard of yarn…we know how many yards are in a pound! This is the yards per pound for our final yarn, whereas to start with we only knew the individual YPPs for each of the ingredient yarns. Okay, still with me? Here’s where the magic happens. We’ve figured out how many yards are in a pound, and we’ve figured out the price for 1 yard of this yarn. Of course we’d have a line out the door if we did this to caluclate the price for every single customer’s yarn. Thank god for spreadsheets! How Much Does A Cone of Yarn Cost? 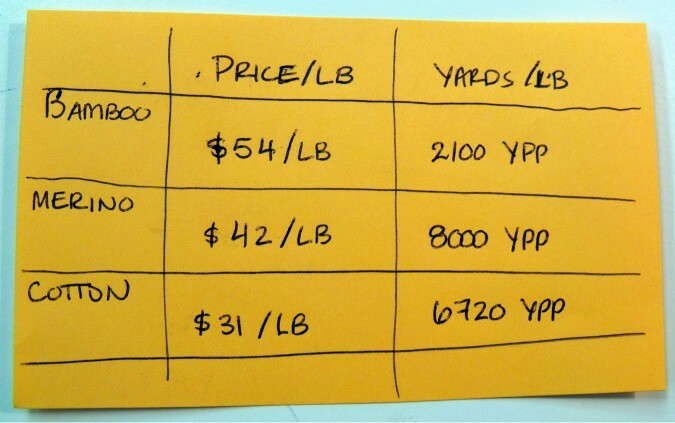 2 Responses to How do you calculate the price per pound? wow – traumatic flashbacks to Algebra. Which I actually loved, except for the tests. thank you for this, I often wondered. P.s. 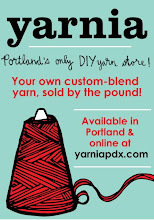 Live in Seattle, and my best yarn friend and I are planning a road trip that includes your store! « Learn how to make cables!